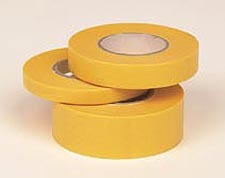 6mm Masking Tape. This is an 18 Meter Roll of 6mm Tamiya Masking Tape. This is a thin, self-adhesive paper tape, developed for model applications. Flexible. Easily applied to curved surfaces making it ideal for masking off areas for painting, etc. Comes in a plastic, reusable dispenser. Dispenser teeth cuts the tape to your desired length. 10mm Masking Tape. This is a 10 Meter Roll of 10mm Tamiya Masking Tape. This is a thin, self-adhesive paper tape, developed for model applications. Flexible. 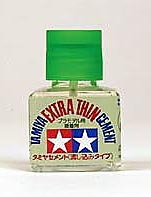 Easily applied to curved surfaces making it ideal for masking off areas for painting, etc. Comes in a plastic, reusable dispenser. Dispenser teeth cuts the tape to your desired length. 18mm Masking Tape. This is an 18 Meter Roll of 18mm Tamiya Masking Tape. This is a thin, self-adhesive paper tape, developed for model applications. Flexible. Easily applied to curved surfaces making it ideal for masking off areas for painting, etc. Comes in a plastic, reusable dispenser. Dispenser teeth cuts the tape to your desired length. 6mm Masking Tape Refill. This is a 6 Meter Roll of 6mm Tamiya Masking Tape Refill. This is a thin, self-adhesive paper tape, developed for model applications. Flexible. Easily applied to curved surfaces making it ideal for masking off areas for painting, etc. Refill roll for TM87030. 10mm Masking Tape Refill. This is a 10 Meter Roll of 10mm Tamiya Masking Tape Refill. This is a thin, self-adhesive paper tape, developed for model applications. Flexible. Easily applied to curved surfaces making it ideal for masking off areas for painting, etc. Refill roll for TM87031.